Quality black and white dot matrix printer EPSON LX-350, which is suitable for economical printing documents. Quality printing ensures print needles 9 and 80 columns. Print speed is up to 390 characters per second and a lifetime traffic reaches up to 10,000 hours. Performs print 4 copies plus the original. The paper feeder is located at the rear and can be printed on separate sheets or multipart forms. A print head life of 400 million strokes on the needles. This quality black-and-white dot-matrix printer is ideal for economical printing. Its 9 print needles and 80 columns ensure high-quality results every time. It prints at up to 390 characters per second and has an operation lifetime of up to 10,000 hours. Not filled with alternative text to a photo! The LX-350 is able to print 4 copies plus the original. The paper feeder is located at the rear, and it is possible to print on separate sheets or multilayer forms. The printhead lifetime is up to 400 million strokes per needle. 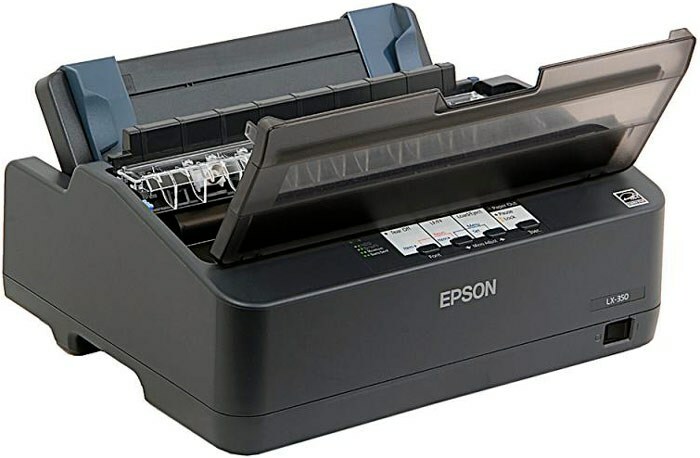 The printer also features a range of connection options: it offers Epson's bi-directional parallel interface as well as USB 2.0 Type-A and Type-B. The printer can be integrated with multiple workstations. Due to its low consumption – 27 watts when switched on and only 1.1 W in sleep mode – the operation of the printer is very economical and complies with the terms of the ENERGY STAR program. With its compact size (348 x 275 x 154 mm) and light weight (4.1 kg), it is easy to move and reposition. 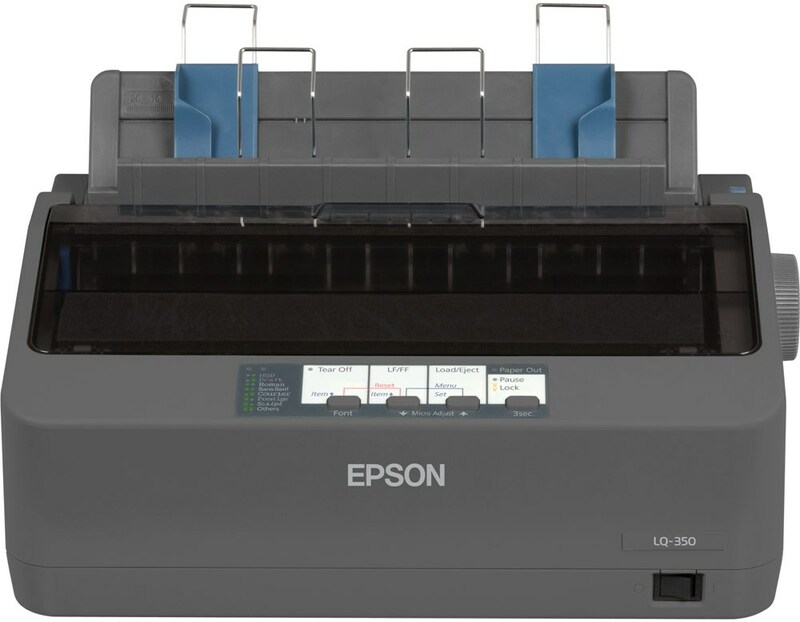 For shipping to other EU countries visit this page Epson LX-350. Für Versand nach Deutschland, besuchen Sie bitte Epson LX-350. Chcete doručit zboží do Česka? 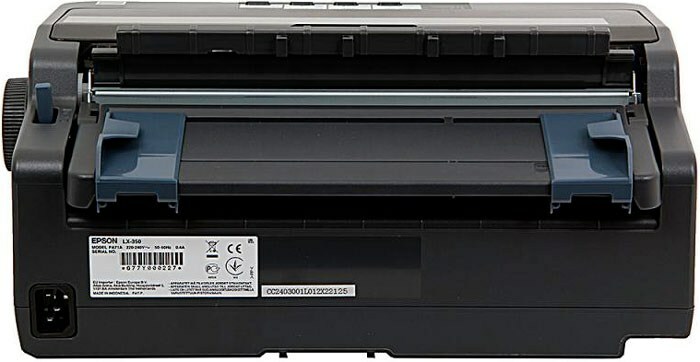 Prohlédněte si Epson LX-350. Chcete doručiť tovar na Slovensko? Prezrite si Epson LX-350. Für Versand nach Österreich, besuchen Sie bitte Epson LX-350.